Fantastic Foliage for Woodland Areas! 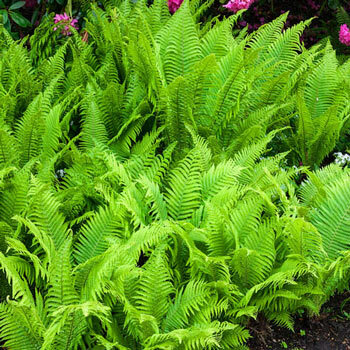 The perfect perennial for shady spots, this fabulous fern bears beautiful, finely dissected fronds that resemble the fluffy tail plum-age of its namesake bird. When planted in masses, it makes a real statement in the landscape. 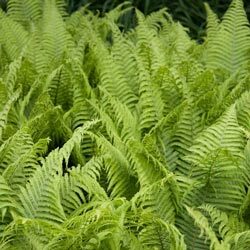 Plus, it's ideal for adding beauty and interest to wooded areas and around trees and shrubs. Foliage is medium green and makes a colorful contrast to the darker sites on your property. Foliage Type: Medium green, finely dissected leaves. Soil Requirements: Rich woodsy moist, slightly acidic soil. Winter Care: May want to apply a mulch for the first winter to protect against frost heaving due to alternate freezing and thawing weather.